In a Bus accident in Zimbabwe, 42 people have killed while injuring more than 20. Some of the passengers even got severe burn injuries. The incident happened as the bus caught fire, authorities said on Friday. According to the French News Agency 'AFP', this horrific incident took place in Gwanda district about 550 km from south Harare, the capital of Zimbabwe. The completely destroyed bus on the highway can be seen in the picture released by Zimbabwe Broadcasting Corporation. Police spokesman Charity Charamba confirmed the death toll of 42 people. 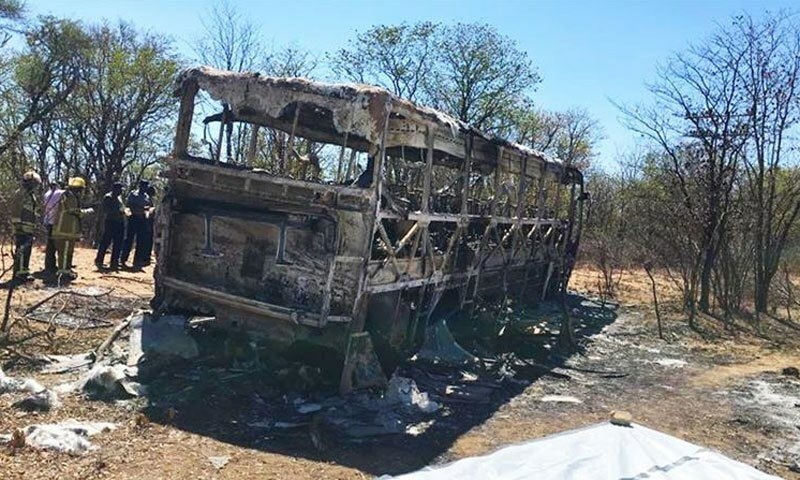 Last week, there was a bus accident in Zimbabwe in which two buses collided with each other resulting in the death of more than 47 passengers while injuring 80 people.